Hart Plaza is an outdoor, urban recreation area on the Detroit River Front featuring the iconic ‘Transcending’ monument dedicated to the labor movement and strength of the men and women who built Detroit. 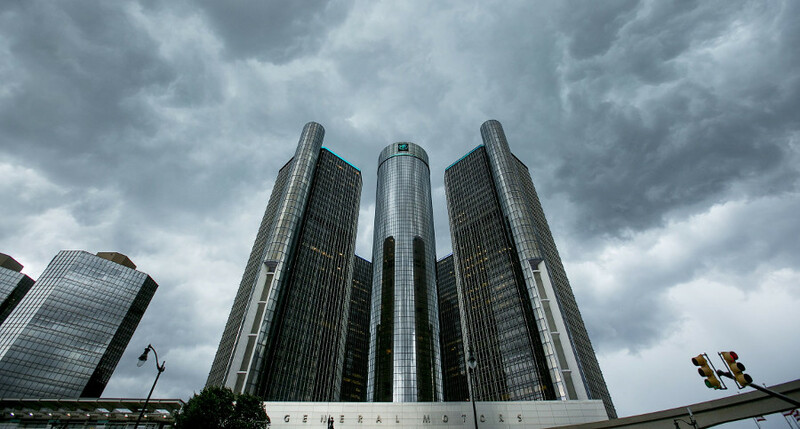 The Renaissance Center complex is a group of seven interconnected skyscrapers in downtown Detroit that serves as the global headquarters for General Motors. 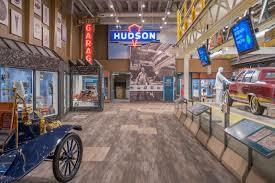 Located in Detroit's bustling Cultural Center, the Detroit Historical Museum is one of America's oldest museum sites showcasing the Motor City's rich automotive and local history. The museum has regular hours open the public in addition to special events. The Diego Rivera murals (pictured at the top of this page) at the Detroit Institute of Arts is a powerful interpretation of the area's auto and labor history completed using 27 fresco panels between 1932-1933. In 2014, the murals were given National Landmark status. Take in the famed work along with other incredible displays at the DIA during regular museum hours. The Detroit Public Library is home to the National Automotive History Collection, which features nearly 40,000 images commemorating automotive heritage. The digitized special collection features photographs of automobiles, industry leaders, races, reliability tours, auto shows, factories, roads, highways, gas stations, repair shops, etc. 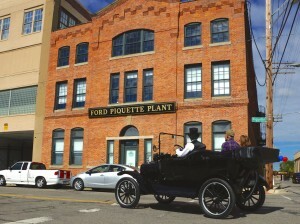 The Ford Piquette Avenue Plant serves as one of the historical footings for the Ford empire as Henry Ford's Model T was born in the restored building at the corner of Beaubien and Piquette in downtown Detroit. Surrounding the Piquette Plant, a bustling automotive community formed in the area called Milwaukee Junction. Many early auto manufacturers built factories within Milwaukee Junction such as Fisher Body, Cadillac, Studebaker, Packard, Regal, Dodge and others. Built just before the Great Depression and financed by the Fisher family, Detroit’s Fisher Building stands as an ornate and grand landmark from the heyday of the automotive industry. 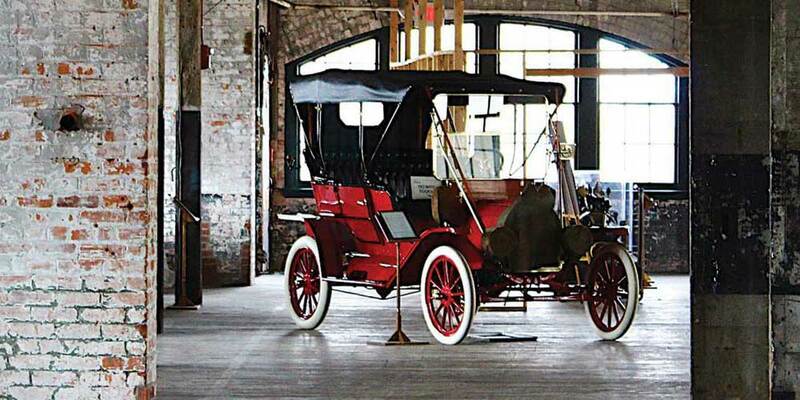 The Fisher Brothers started as carriage builders in 1908 before turning toward manufacturing parts for early automobiles. The family eventually sold the business to General Motors and used funds from the sale to finance construction of the building. The Boston Edison neighborhood once served as home to Detroit’s power brokers such as Henry Ford, the Fisher family, James Couzens, Walter P. Reuther and Joe Louis. Take self-guided tour of one of the Detroit’s most famed and historic neighborhoods by visiting the website: historicbostonedison.org. For more sites that commemorate Michigan's rich and unique automotive heritage, click here take a look at the MotorCities interactive map.